A record number of companies applied to receive funding this year from the Nordic Game Program, the organization that made this summer's XBLA hit Limbo possible. The Nordic Game Program was created to foster development by local game designers. While there are many people who play games throughout the nations of Denmark, Finland, Iceland, Norway and Sweden, less than 1 percent of the games sold there are made by natives of those countries. Since 2006, the Nordic Game Program has funded many games, including this summer's XBLA hit Limbo and the recently released The Ball. For the second half of the 2010 fiscal year, the Nordic Game Program received 136 applications, bringing the total number being considered for funding in 2010 to 228. Of course, not all of these projects will receive funding, but it's clear that the Nordic Game Project is doing its job of fostering game development within Scandinavian countries. "The number of projects has increased by 50 per cent from the last round, which brings the total for 2010 to a unbelievable record of 228," said Erik Robertson, the man in charge of the program. "This staggering figure, about four times what we planned for, proves that the Nordic games industry is still very much expanding, but also that it is impossible for the funding scheme to meet the constantly growing demand. "We are now beginning to see that the support system is not only in great demand all over the Nordic countries, but also that it does what it's supposed to. Our experts select high-quality games at an early stage, ones that go on to be successes both with the critics and in terms of sales." The success story of critic's darling Limbo, created by the Danish game developer PlayDead, might be why there is such a huge growth in the number of applicants. Producer Mads Wibroe said that Limbo couldn't have been made without support from the program. 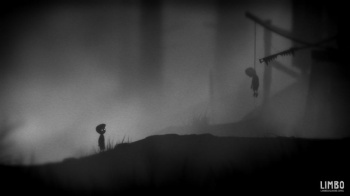 "The Nordic Game Program was invaluable to the creation of Limbo. The early support was instrumental in realising one of the hardest steps: a working prototype," said Wibroe. "In the harsh climate of games development, the Nordic Game Program is a rare source of support. Indeed, a diverse, creative game-development scene depends upon exactly this kind of committed support - only we need much, much more of it." It's very cool that programs like this exist to foster such innovation and development of games in places where games might not get made otherwise. The industry could certainly use more Limbos.